The school management has an important role in the development of student activities, especially with regard to providing the time, quotas and convincing parents and follow-up. For school administrators do in the development of student activities, especially with regard to follow-up and preparation of plans and reports and claim to provide financial support and time. Study the reasons for the weakness of school activities in primary schools in Iraq. Conduct a study on ways to improve school activities in the schools of the province of Babil in Iraq. 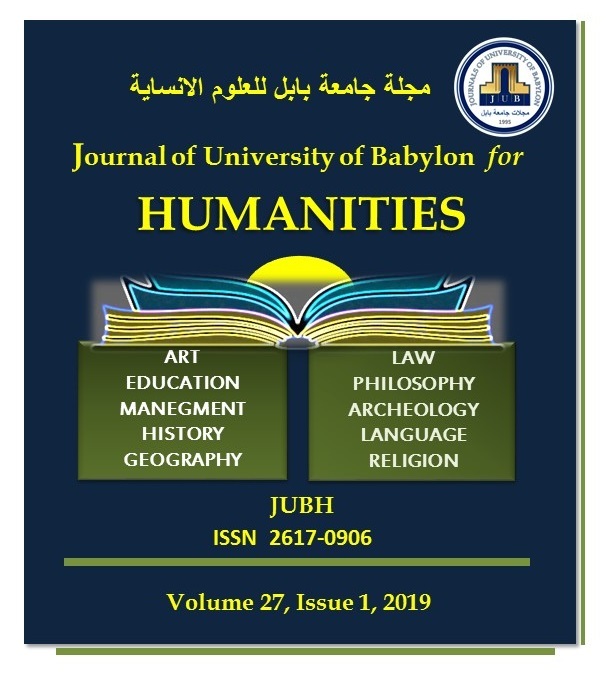 O. Kadhem, “The Development of Classroom and Extra-curricular Activities from the Point of View of Teachers and Supervisors in Light of the Overall Quality Requirements for Elementary School Students in Iraq”, JUBH, vol. 27, no. 1, pp. 383 - 402, Apr. 2019.